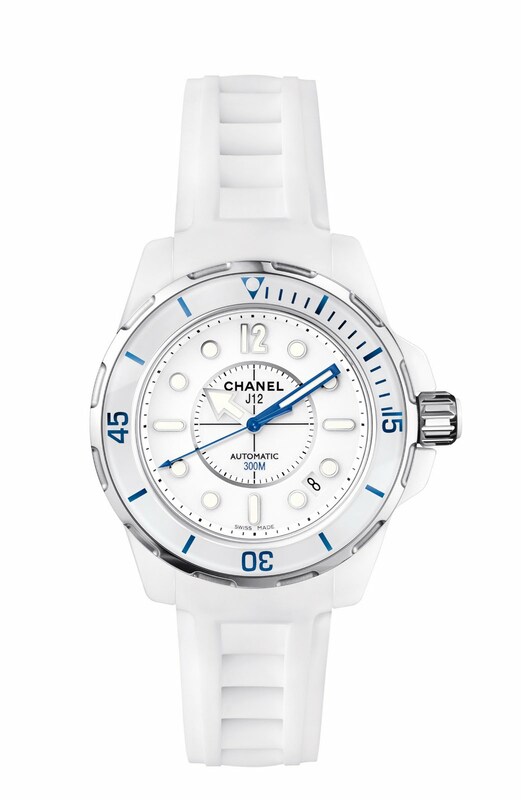 In case you were wondering, it’s the CHANEL “J12 Marine” watch featured on the June cover of VOGUE with Blake Lively. A true diving watch, the “J12 Marine” is available in white, black with blue bezel and all black with rubber straps and is water-resistant to 300 meters. The 38mm “J12 Marine” Automatic Watch retails for $4,700, available in White, Black with blue bezel & all black. The 42mm “J12 Marine” Automatic Watch retails for $4,900, available in Black with blue bezel and all black. Unfortunately, it’s not within my budget, but it’s fabulous nonetheless.